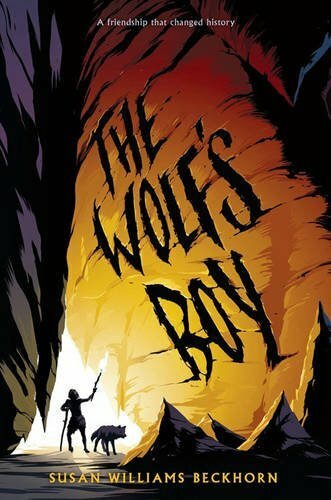 "Set in Paleolithic times, the main characters in The Wolf's Boy are a boy with a clubfoot, and the motherless wolf pup he saves from certain death. Together they learn the value of family and loyalty in this powerful, action-packed, middle grade novel." - Seira Wilson, Amazon Editor An outcast boy and a young wolf against an Ice Age winter . . . Kai burns to become a hunter and to earn a rightful place among his people. But that can never be. He was born with a clubfoot. It is forbidden for him to use or even touch a hunter's sacred weapons. Shunned by the other boys, Kai turns to his true friends, the yellow wolves, for companionship. They have not forgotten the young human they nurtured as an abandoned infant. When Kai discovers a motherless cub in the pack, he risks everything to save her, bringing her back to live with him. But as winter draws near, Kai's wolf grows ever more threatening in the eyes of the People. When the worst happens, Kai knows that they must leave for good. Together, they embark on a journey into the north-a place of unimaginable danger-that tests the power of friendship and the will to survive. Award-winning author Susan Williams Beckhorn delivers a powerful tale set in Paleolithic times. Inspired by modern discoveries, Susan's careful research creates a vivid picture of a time when the first wolves came to live with humans and forged a bond that lives on to this day.